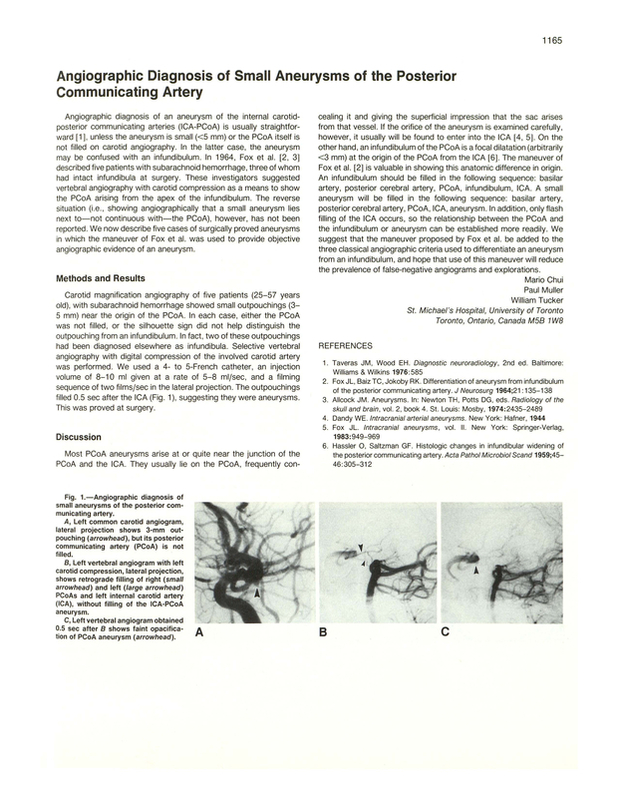 Angiographic diagnosis of small aneurysms of the posterior communicating artery. St. Michael's Hospital, University of Toronto, Ontario, Canada. You are going to email the following Angiographic diagnosis of small aneurysms of the posterior communicating artery.